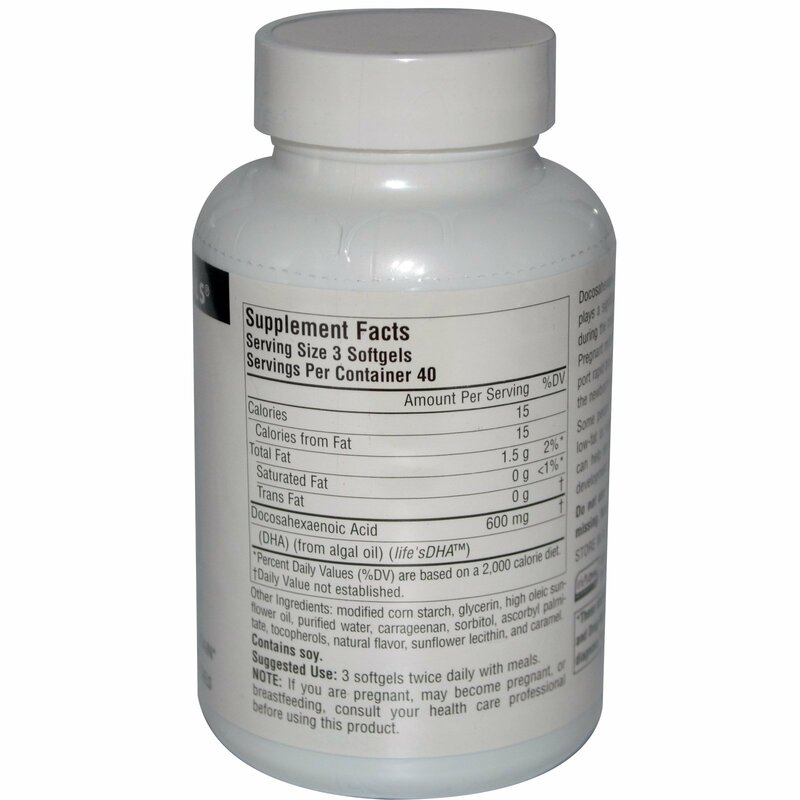 Docosahexaenoic acid (DHA) is an omega-3 fatty acid and plays a significant role in cerebral development, especially during the crucial period of fetal development and infancy. Pregnant mothers transfer DHA directly to the fetus, to support rapid brain and retina development. DHA is supplied to the newborn via mother's breast milk. Some people have lower concentrations of DHA due to low-fat or vegetarian diets. 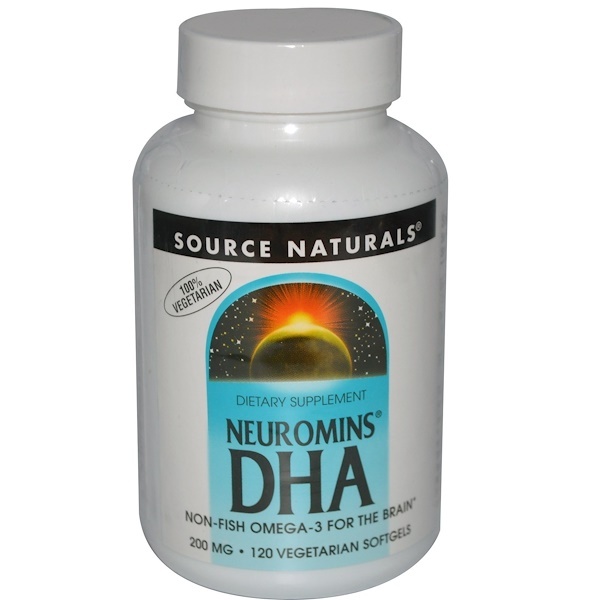 Supplementation with DHA can help assure adequate amounts to support normal development of the brain and retina. 3 softgels twice daily with meals. Modified corn starch, glycerin, high oleic sunflower oil purified water carrageenan, sorbitol ascorbyl palmitate, tocopherols, natural flavor, sunflower lecithin and caramel.